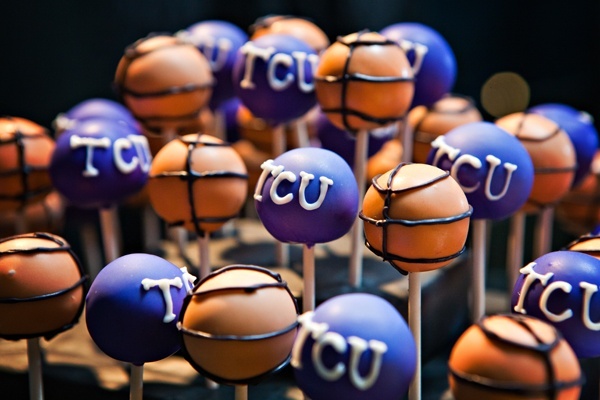 If your guy is a huge sports fan (or if you both are, and you want to use the groom’s cake as an expression of that) I think this is an adorable idea – cake pops to celebrate your passion! I mean, what lends itself better to the whole ball shape (please…keep it clean) than cake pops? And you could dress them up to be soccer balls, basketballs (like here), baseballs…get a a good baker, and I bet you could even get footballs! Alternate the ball shapes with the motif of your favorite team (or even the colors and initials!) and voila! You have a fun alternative to a groom’s cake that guests can even take home with them! 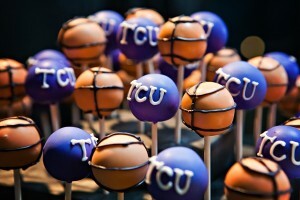 Is there room in your heart for sports themed cake pops at your wedding? Leave a comment and let us know!